Apply Nobel Prize-winning brain research into your secondary classroom. Learn about the nine principles for brain-based learning and how to create optimum learning conditions for your students. Learn to build the bridge between potential and achievement, how to provide feedback to maximize performance, and how to motivate unmotivated learners. You'll pick up effective strategies to connect learning, to provide students the BIG picture, to help students demonstrate their new understanding, and to review for retention. 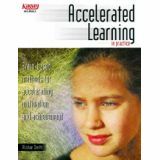 Written by the leading accelerated learning trainer in the UK, you'll find this book thoroughly researched, highly readable, and very practical. 264 pages. Journey through the ALPS. You'll explore cutting-edge brain research and discover brain-friendly teaching strategies every step of the way. At base camp, you'll learn how to design and plan your day, how to promote intrinsic motivation, how to build self-esteem, and how to create a positive learning environment. Then you'll be ready to move into the foothills. There, you'll learn effective goal setting, how to use powerful classroom talk, the importance of educative feedback, brain breaks, and how to use music in the class. 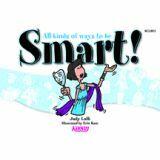 Then, you'll be ready to move on to the real learning journey: how to start off your lessons with a bang, the VAK method, how to keep students on task, how to enhance their multiple intelligences, and even how to increase standardized test scores. Don't miss this opportunity to take this unforgettable learning excursion. 304 pages. Students generate random addition problems with their Addition Spinners! No need for textbooks or worksheets. Students just spin the two spinners and add up the numbers. 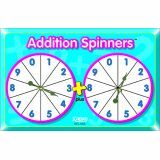 Spin ‘em twice or more and create multiple-digit problems for more advanced addition. Ideas and activities on the back. 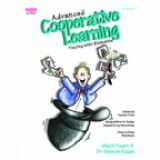 This book is advanced work on the theoretical underpinnings of Dr. Spencer Kagan's structural approach to cooperative learning. It is recommended only for serious teachers and trainers skilled in co-op structures who wish to modify and create new cooperative learning structures. Includes Element Decks—manipulatives to play with the elements of structures. Playing with elements will make your teaching tighter, more creative, and more fun for you and your students. 112 pages. Get students thinking critically and creatively about the content! 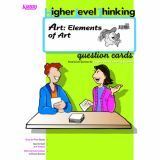 You and your students will love using these popular open-ended higher level thinking question cards. This classroom set has 16 colorful double-sided question cards for each team in your class. Includes full instructions and lots of great ideas for use. 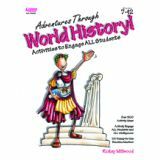 Activities to Engage ALL Students Make world history an adventure. 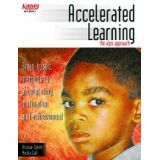 This book offers activity ideas galore to address students' various learning styles. Students will make posters, draw political cartoons, sing songs, conduct research, create graphs, and role-play events. With these meaningful activities, students are more engaged, more motivated to learn, and more immersed in world history. 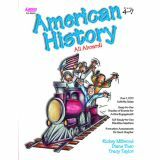 The book is loaded with great ideas to surpass the Global Studies Standards. The 20 chapters span from Ancient Egypt (4000BC) to recent events in the modern world. The 100 time-saving reproducible blackline masters come complete with a student-friendly description of the historical topic or period to provide context and meaning. 192 pages. 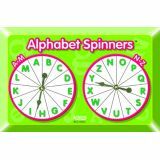 Fun while learning the ABC's is the name of the game when your students spin the Alphabet Spinners! Have students give a spinner a twirl and say the letter the arrow lands on, practice phonics, or printing or handwriting the letter. Develop your students' linguistic skills with fun language exercises. Have students brainstorm words, nouns, verbs, or adjectives that start with the selected letter. Students can spin a letter to write terrific tongue twisters! Students spin both spinners to create word combinations. Students can play alone, quiz a partner, or hold a “Showdown at ABC Corral." Learning the alphabet has never been so much fun! Also great for ESL and foreign language learning. These exciting and involving activities teach popular science concepts. 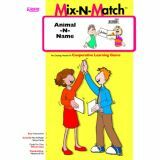 For Mix-N-Match, students move about the room trading Mix-N-Match cards until you call "Freeze." Then they find the partner with the matching card. Mix-N-Match is played over and over. An exciting and involving way to learn content and have fun. Sets include instructions, ideas for use, and enough cards for 40 students. Increase engagement in your classroom. You ask your students a question. Is it better to have one student answer, or have all students answer? Great for everyday questions and answers. 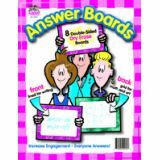 Perfect for Kagan Structures such as: Numbered Heads Together, Showdown, Find the Fib, Pairs Compare, and many more. You'll make learning more fun while keeping all students actively involved. AnswerBoards measure 8.5" x 11" and are double-sided: lines on front for writing and a grid on the back for drawing or graphing. Try them. You and your students will love them. Use with Kagan's dry erase markers and erasers.